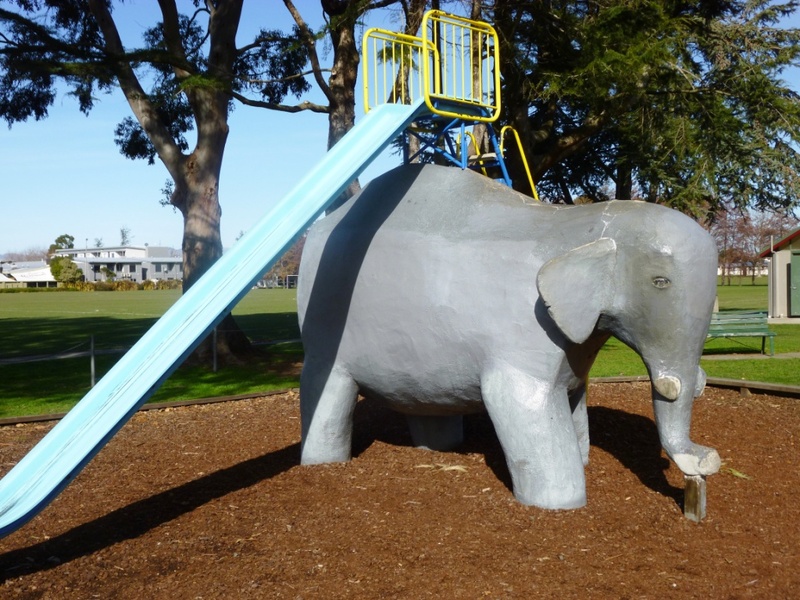 Bishopdale Park has it all – an elephant slide reminiscent of playgrounds gone by, a mega-slide, a flying fox, skate park, army-style obstacle course, a basketball court, and all your usual play equipment. There are toilets, a drinking fountain, picnic tables, and park benches if the excitement all gets too much. The playground adjoins large sports fields so there’s plenty of room for running around. Bishopdale Park is on Harewood Road (there’s a map below). We visited Bishopdale Park in August 2015 (winter).